Next Post Feminism… *gasp* Why such a bad label? 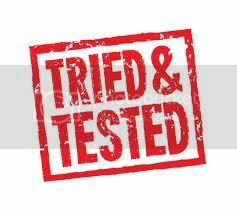 hello *handwave* another pramaholic here who found your blog post through #triedandtested i used to have a p&t sports for twins i use to nanny for and only downside was once they got older then 2. seat got too small and the endless punctures no fun!! i am yet to find the “dream” pushchair but thank god i have a brand new tester (baby girl is nearly 6 weeks) to get a few more years out to find THE ONE! hahaha, don’t apologise for the length of your comment, Thank you for taking the time & effort to leave it! I guess it depends on what age the 2 kiddos are & what stage they’re at in walking etc. I know you can add a ‘scooter’ to it & seen others with the ‘buggy’ boards. The dot is relatively new, so I’m not sure if it’d be different to yours-but there are so many different seat configurations i’m sure there’s bound to be one that might work. Can’t say i’ve experienced the wheel spinning/ mind of its own part-i go up our steps on the back 2 tyres & i think you can lock the front wheel into position to help? I know, sheepskin sounds odd, & when i was told about it i thought exactly this! But after research found the same advice & i wouldn’t be without ours, bear is a sweaty lil monkey! Many years ago my dad was an inpatient in hospital after an op, & to regulate his body temp they placed a huge sheepskin under him, i didn’t know this until he saw bear all cozy & told me the story. I’ve never quite understood the sheepskin thing . . .
My name is Kate, and I am a pramaholic.